Age: 16 Height: 173cm A 16-year-old combat trained Galactic Alliance lieutenant, shipwrecked on a frontier planet after hibernation travel through space-time. Ledo is a very wary person, as shown during the first few episodes. He is also very intelligent and knows how to examine his surroundings with great detail. This ability is augmented when teaming up with Chamber. He appears not to know anything apart from war and battle, and thus his social skills are extremely low if not zero. 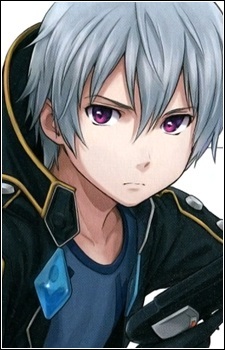 Ledo had a younger brother who was sacrificed because he was physiologically weak.